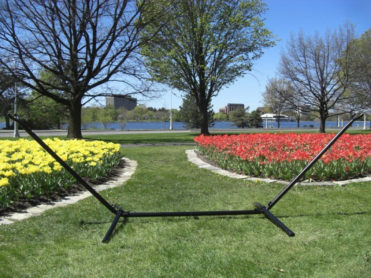 With its sleek yet simple design, this fully functional Universal Hammock Stand is the ideal solution for hanging your hammock in the perfect location of your choice. 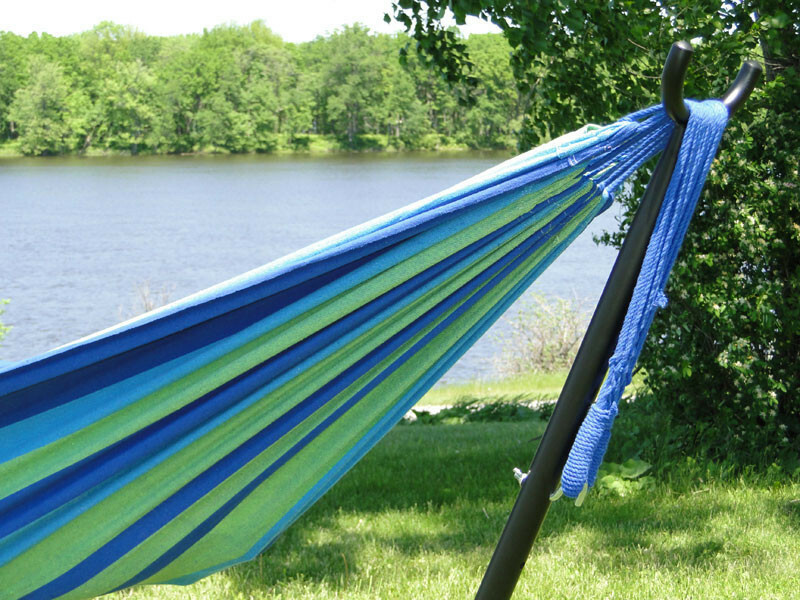 Designed to work with non-spreader bar hammocks, this hammock stand is easy-to-assemble, and requires no tools for installation, allowing you to enjoy a quick set-up in minutes! 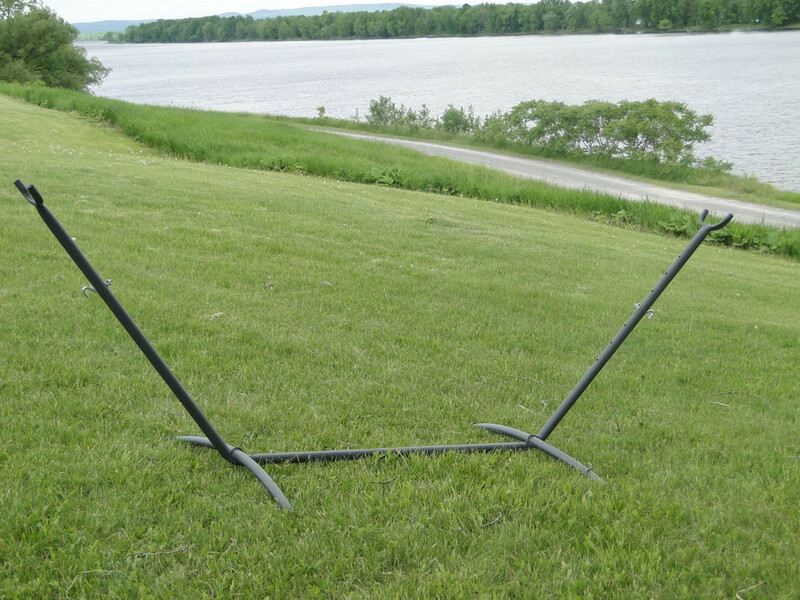 This portable hammock stand can be carried with you wherever you go – from camping trips to hiking excursions to the lakeside summer house. The heavy duty construction on this steel hammock stand provides strength and durability; it supports up to 450 pounds in weight capacity. The powder-coated finish on the steel offers weather protection, so that the stand can withstand the elements and remain damage-free when it rains, snows, or is incredibly hot or cold outside. This hammock stand is one of the most flexible available, and is adjustable to fit the proper size of your hammock. It’s perfect for use with non-spreader bar hammocks in the Mayan, Brazilian, or Nicaraguan style. 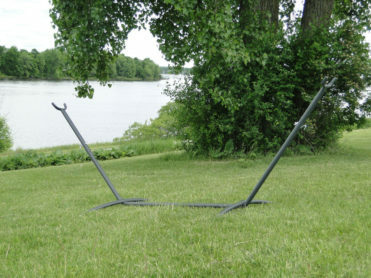 The universal hammock stand disassembles, and has five pieces including: 5 bolts, 2 hooks, and 2 wing nuts included. Use this hardware to adjust the hammock to a desired height.